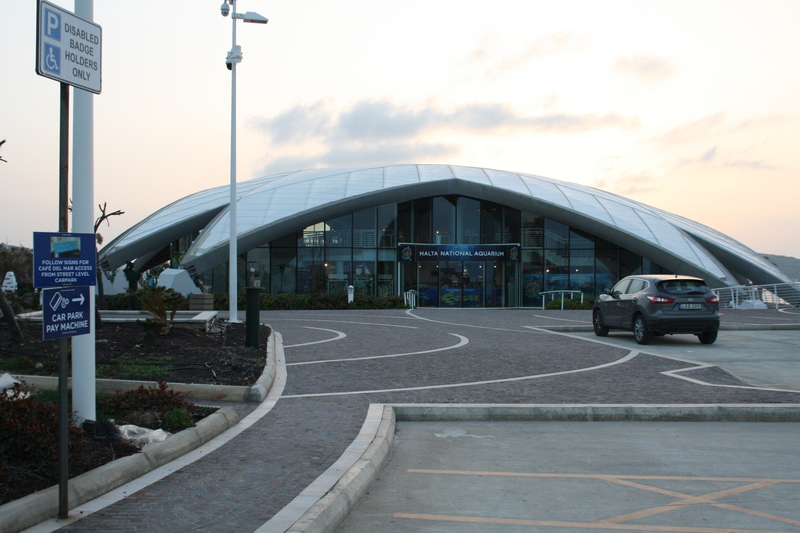 Last week I flew over to the beautiful Mediterranean island of Malta as an invited guest to speak at the “Journey into an Aquarium” seminar which took place at the National Aquarium Malta. 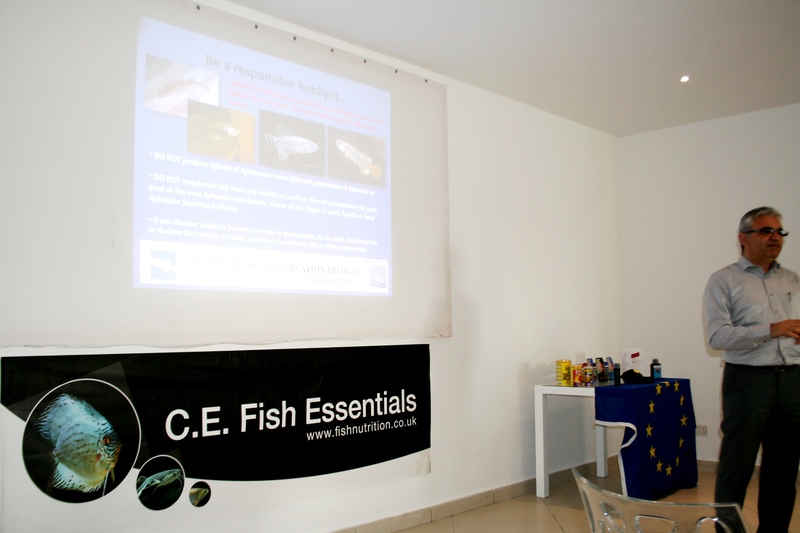 This event was organised by Andy Bugeja of Aqualine Malta, the Maltese distribution agent for Naturekind Advanced Fish Food and featured some other great speakers also including Chris Ingham (Author of the book Discus World), Tristan Camilleri (Director of the Malta Aquaculture Directorate) and Raymond Caruana (The Killifish Conservation Project). I had the pleasure of being able to speak in great detail with the aquariums curator Daniel Da Castro about the excellent work they are doing to educate people about the importance of aquatic ecosystems, but also had the chance to see first hand the brilliant captive breeding and reintroduction programs they have backstage, like that of the Lesser Spotted Dogshark, which has been subject to serious anthropogenic threats in recent years. 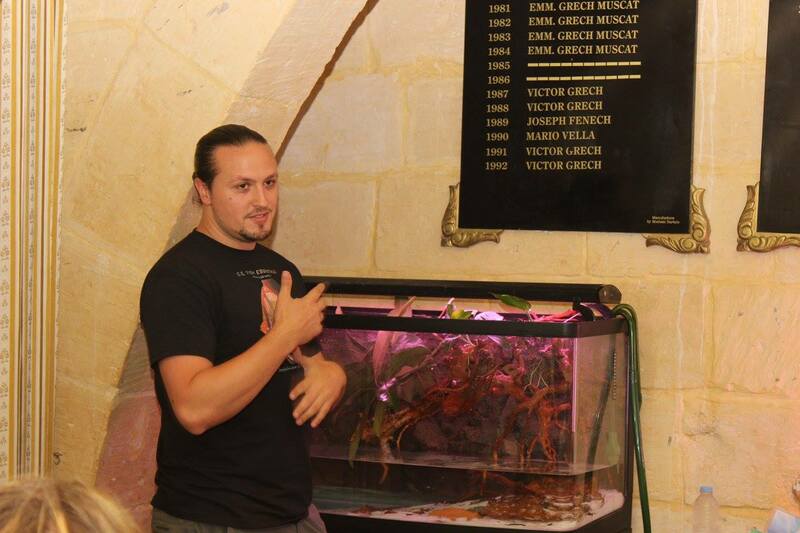 As part of this trip I was also specially invited to conduct a biotope aquarium workshop at the Malta Aquarist Society which was coordinated by Jonathan Theuma Carabez. I walked the members step by step through the process of how to recreate the natural biotope of a specific aquatic biocoenosis from the Rio Atabapo, a blackwater river I visited a few years ago on the border of Colombia and Venezuela; I have shown a few photos from some of the stages below. 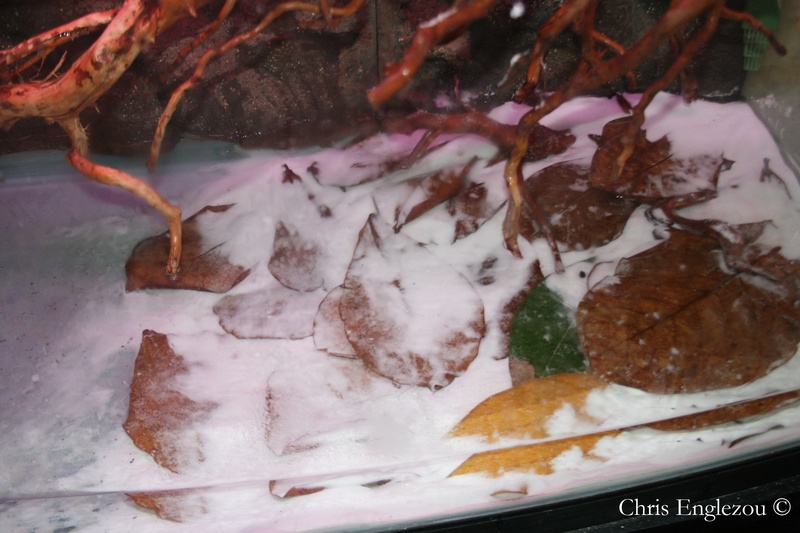 Several layers of various types of aquarium-compatible leaves were used here as substitutes for similar looking leaves from trees native to the Atabapo region. 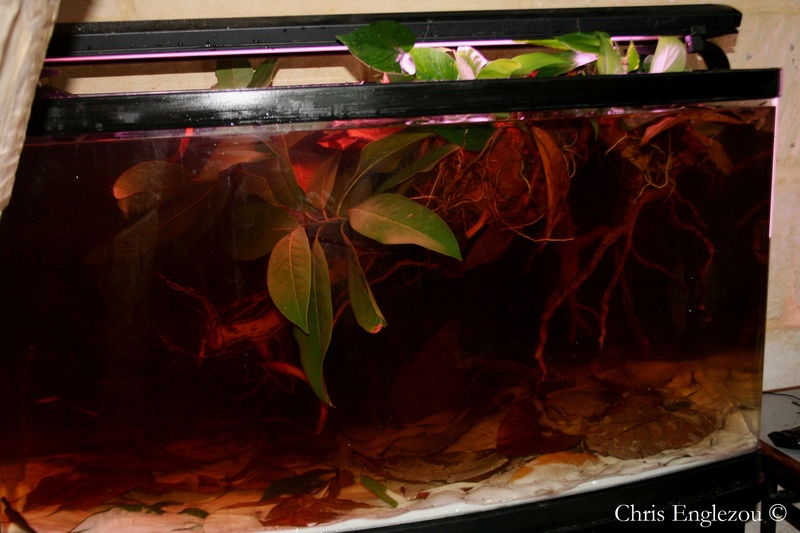 Due to lack of availability of native Atabapo Philodendron species, the related aroid Epipremnum aureum was used in replacement, the roots of which will gradually grow into the aquarium in a very natural way, but also contribute to the completion of the nitrogen cycle. 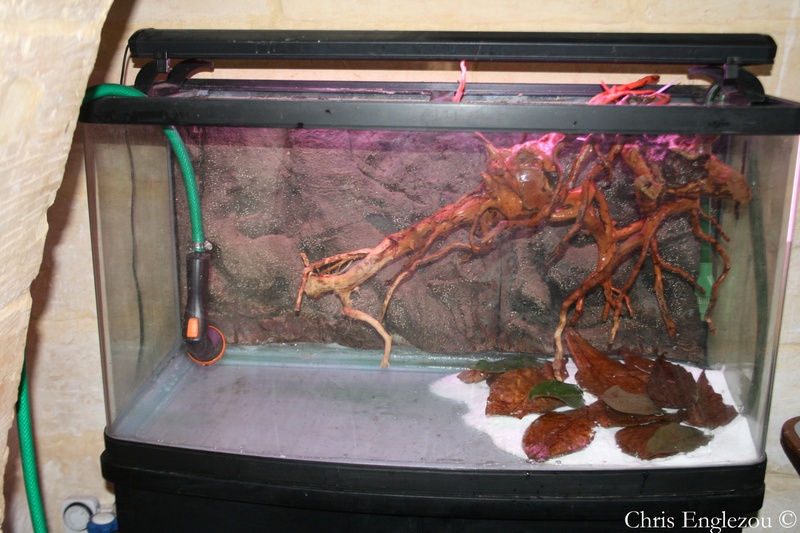 Blackwater extract was used to hastily simulate the natural colour of the Atabapo river and the aquarium will now be left to mature before adding the biotope-correct species at a later date. It was a genuine honour to be able to share my experiences with all that attended both the seminar and the workshop and i hope that I will be able to return again in the near future. It was a real pleasure to have been with you on this fantastic journey, and I wouldn’t have missed this for the World. Your talks were not only educational, but very inspirational also. You are clearly a very compassionate guy regarding the destruction our fellow humans are doing to this planet and the creatures we are supposed to share this planet with. 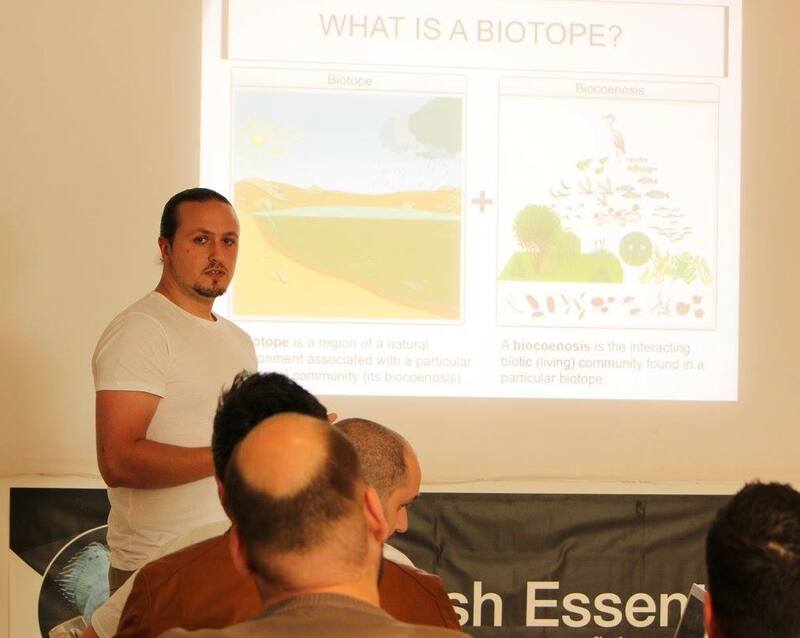 Your biotope aquarium workshop at the Malta Aquarist Society was the bomb, and the end result blew everyone away and left everybody gobsmacked with how it looked when it was finished. Memories from that week will stay with me forever such as the fantastic work Ray Caruana is doing for the future for the Maltese populations of the Mediterranean Killifish Aphanius fasciatus, and turtles to say just a few. Not to forget the walk in the park………………. 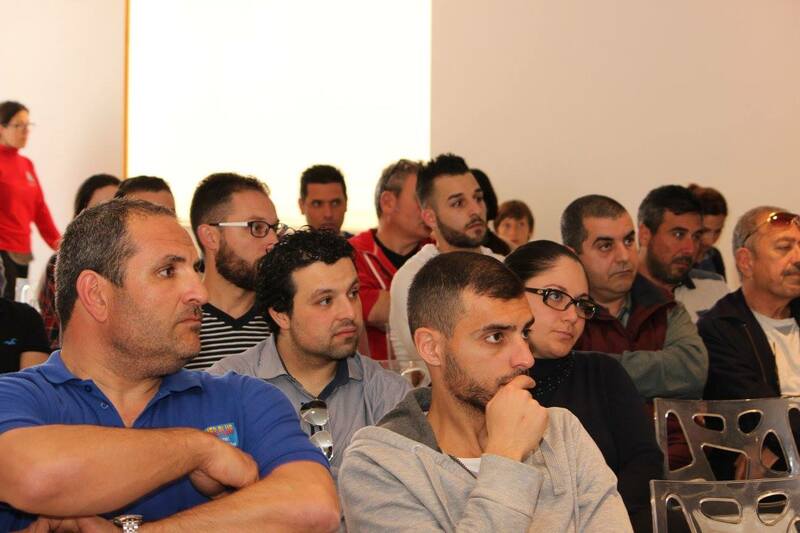 It would be very nice idea to make the next seminar came here in Greece Thessaloniki. 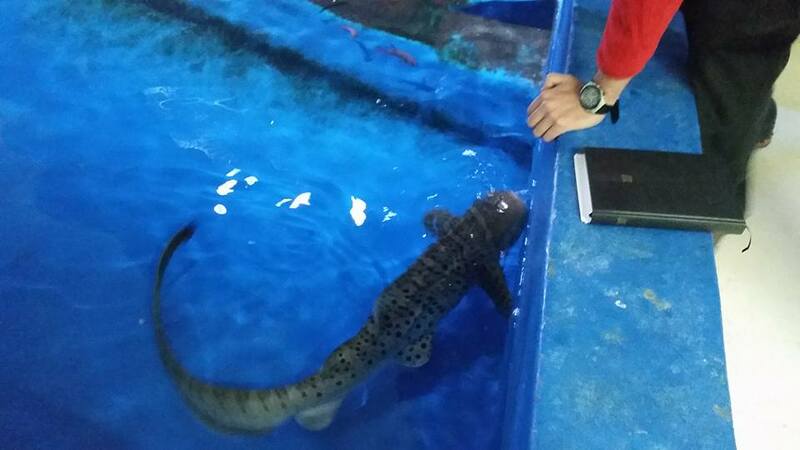 At my opinion every one who cares about fresh water must not lose this chance to knowabout real life of our fishes.It will be great experience to learn oll about REAL LIFE and ofc how to simulate in our tanks. 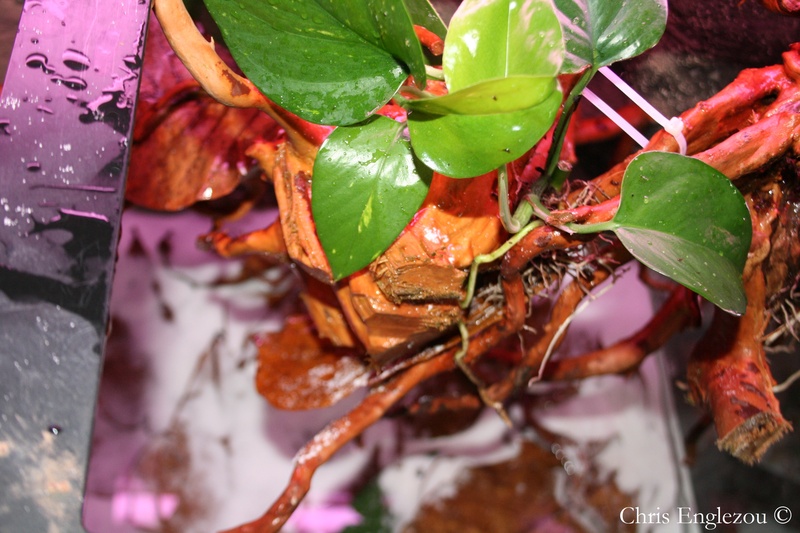 Absolutely incredible biotope!! Thank you for sharing your work, I just wish you could do a talk here in the UK sometime soon. David, Look out for the British Cichlid Association Seminar at the Britannia Hotel Standish, Wigan on July 16th 2017. 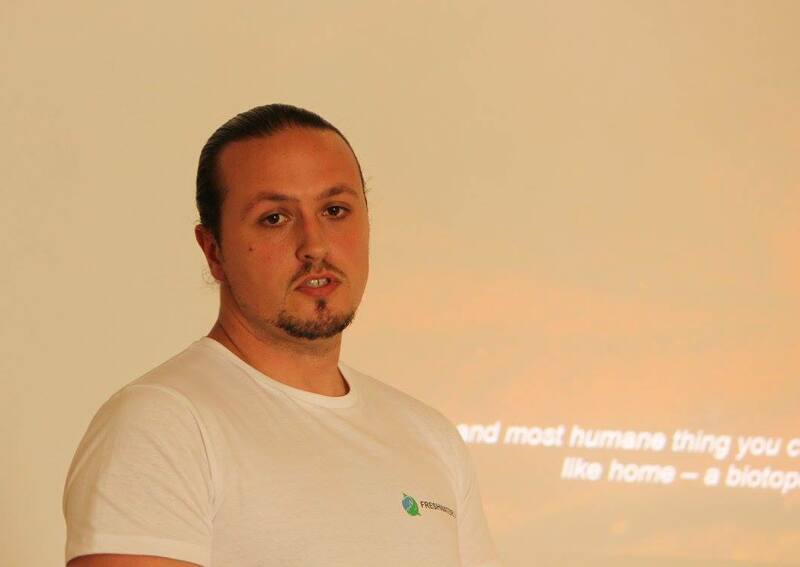 Chris will be presenting there and also giving the workshop on the rio Atabapo biotope. He will also be bringing along details of the Freshwater Life Project, an international freshwater fish conservation charity based in the UK.